Amanda joined Richter Trial Lawyers in 2015. Law runs in the family and her great uncle was a founding partner at historic Vancouver law firm Freeman & Company. Amanda obtained her Bachelor of Arts degree from the University of British Columbia in 2010; majoring in English literature and minoring in philosophy. While at UBC, she was an active member of the Alpha Delta Pi sorority and Gamma Sigma Alpha Greek Honour Society. Off-campus, she volunteered at Access Justice and West Coast LEAF. Amanda completed her Juris Doctor in 2014 at Thompson Rivers University Faculty of Law as a member of the inaugural graduating class. While at law school, she represented TRU at the Wilson Moot, a national advocacy competition involving the Canadian Charter of Rights and Freedoms. She also volunteered with West Coast Leaf (Women’s Legal Education & Action Fund) hosting the annual Persons Day Breakfast in Kamloops. While in her third year, she sat on the Society of Law Students as a class representative. 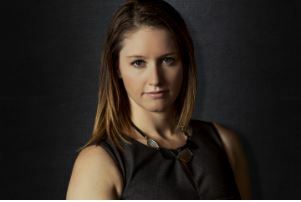 After law school, Amanda enjoyed a unique articling experience splitting her time between Biopep Solutions, an upstart biotech company and a personal injury and general litigation firm. As a member of the Richter Trial Lawyers team, Amanda specializes in personal injury, family, estate and general civil litigation. She has appeared in Provincial Court, Supreme Court and the Court of Appeal. Outside of the office, Amanda enjoys keeping fit, hiking, softball and travelling to sunny and warm destinations. She is currently on a sabbatical for the 2019 year.